John Douglas Millar discusses his review of Gerhard Richter: Panorama at Tate Modern . “The show is vast; there is the work that spars with Marcel Duchamp, the landscapes that investigate German Romanticism, September, 2005, his mournful and considered reaction to the attacks on the World Trade Center, the tender but always questioning domestic portraits of his wife and children. I cannot discuss them all here. In the end, the satisfaction of this show comes from the sense that you are constantly in the presence of an intelligence that is both effervescent and probing. A painterly mind that is able, fascinatingly, to think against itself”. This entry was posted in Art Monthly Monthly and tagged 1977’1988, Baader Meinhoff group, Gerhard Richter, Gerhard Richter: Panorama, Informel, John Douglas Millar. 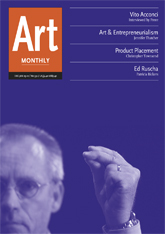 Art Monthly, Mark Rothko Seagrams, matt hale, October18, Panorama, Table, Tate Modern, Uncle Rudi 1965 on January 24, 2012 by artmonthly. James Marriott, of Platform, an organization that brings together artists & activists to create projects focused on social and ecological justice, in conversation with John Jordan, co-founder of the Laboratory of Insurrectionary Imagination, a network of socially engaged artists and activists whose work falls in between resistance and creativity, culture and politics, art and life. 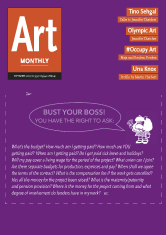 They discuss what makes art such an effective catalyst for change, the history of art-activism, the ailing condition of art institutions, the architecture of corporate sponsorship of cultural institutions and how the Lab of ii recently exposed the Tate Modern’s complicity with BP’s project of maintaining a ’social license to operate’. 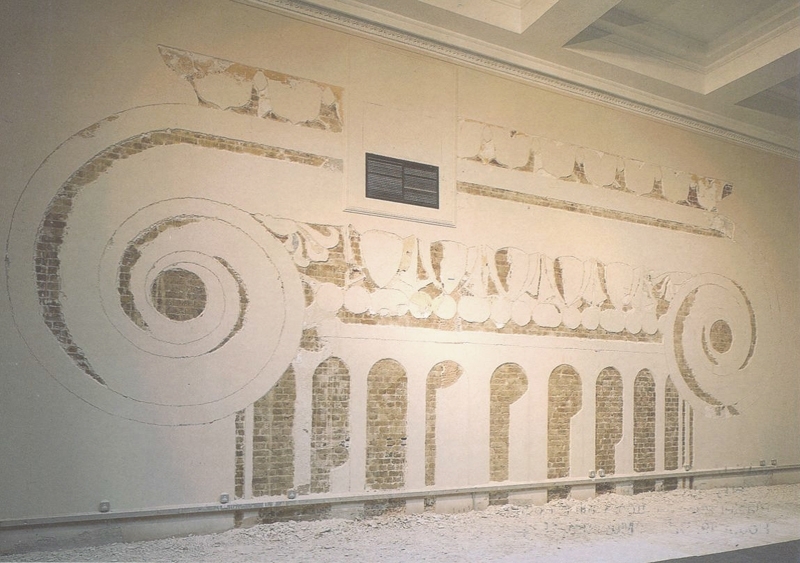 This entry was posted in Uncategorized and tagged activism, Art, Art History, BP, Corporations, Deepwater Horizon, Environment, Greenwash, Oil, Platform London, Tate Modern on June 25, 2010 by tom. 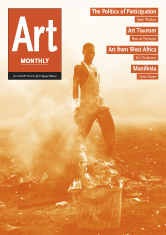 Patricia Bickers, editor of Art Monthly magazine, discusses a feature from Dec/Jan issue of Art Monthly with it’s author Jennifer Thatcher. Entitled ‘Crunch Time’ it covers the convergence of artistic and entrepreneurial values and in relation to this they discuss Pop Life at Tate Modern. 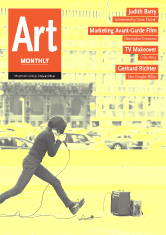 This entry was posted in Art Monthly Monthly, Shows, Uncategorized and tagged Crediti Crunch, Crunch Time, Jennifer Thatcher, Patricia Bickers, Pop Life, Tate Modern on December 16, 2009 by artmonthly.